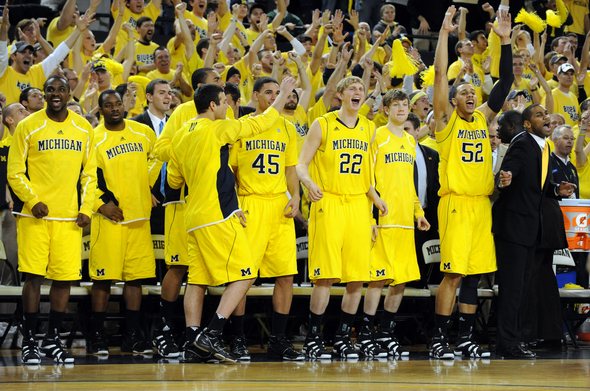 ESPN have released their 2013 recruiting class rankings and Michigan basketball has fared quite well. Michigan is currently ranked as the #2 recruiting class in the nation and are only trailing ACC powerhouse North Carolina. Fellow Big Ten squads Indiana and Purdue are ranked #5 and #6 respectively. What is perhaps more astonishing is that neither Michigan State or Ohio State are ranked in the top ten recruiting classes, despite their recent success on the court. Michigan's class is built off the recruits strong performances in the ESPN100. Right now, 3 of the members of the 2013 recruiting class are ranked inside the ESPN100 and the final member needs an asterisk next to his name. Austin Hatch was involved in a near fatal airplane crash and his status as a basketball player is still up in the air. If he hadn't been in that horrible tragedy, Michigan may actually be ranked #1 right now and ultimately, if Hatch recovers as many assume, Michigan's class may be much more talented than it looks in the current rankings. I think this is a tremendous step forward for the program. Michigan ended up finishing with the #14 recruiting class in 2012 and finishing above that would be a big leap forward for a program that wasn't ranked in the top 25 recruiting classes in a very long time. This not only brings in elite players for two years in a row, but it's a symbol that Michigan basketball is going to be here to stay. Most schools, especially at the Big Ten level, can bring in a good recruiting class once in a while, but the elite programs are the ones that can bring in these classes on a consistent basis. Think about it this way. 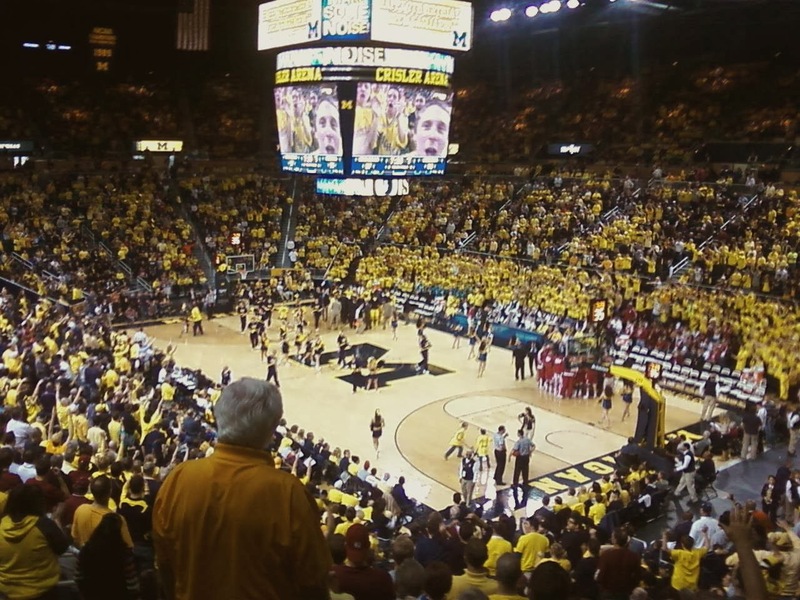 Where does Michigan basketball want to be in the future? Obviously, at the top of the Big Ten and in the mix for league titles and Final Four appearances. Well, the teams that can do those things on a consistent basis start that process by recruiting elite players. If Michigan can continue with these types of results on the recruiting trail and Beilein can continue his tremendous coaching, I see no reason to believe that Michigan won't be around for a long time. The one thing to add is that it's highly unlikely that Michigan will finish at the #2 position in the country. Michigan is certainly still recruiting some 2013 players and I can definitely see them adding 1-2 more guys (leaning heavily towards 1), but the coaches seem to have already switched their focus to the 2014 class and for good reason. For instance, Michigan's 2012 recruiting class was bigger than expected and they still only took 5 recruits. Michigan's 2013 class already has 4 commitments and I don't anticipate another batch of transfers like Michigan experienced at the end of the 2012 season. Regardless, I would be very surprised if Michigan's class didn't finish as one of the elite ones in the country and among the top in the Big Ten. MSU always seems to close well, so they will be there at the end and of course Indiana's classes have been great as of late, but don't be surprised if Michigan finishes as the best in the Big Ten for 2013 recruiting. Hot Topics: How Should Michigan's Backup Big Men Rank?